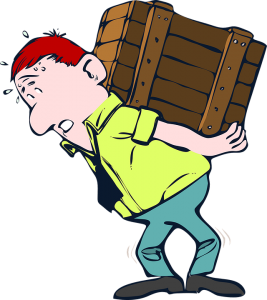 Posted on January 27, 2019 by Richard S.
Moving can be very stressful as we are all very well aware. Even the people who never moved are somewhat aware that moving can be pretty hectic. Therefore, you ought to know some tips and tricks on how to move without worrying much and yet to have everything done right and in a timely manner. If you have decided to hire a moving company, this moving process will become a bit less stressful for you. On the other hand, if you want to move all by yourself you have to be aware of some things. More to come about downsides of DIY moving, so stay tuned. As for everything, there are pros and cons for a decision to move on your own, with no professional help. If you want to pack and move without stress then you should be prepared for a lot of things to tackle as you go along with your moving process. So, let’s see some of the pro reasons to make your move a DIY project. One of the biggest reasons for which you can decide to move without professional help is definitely the fact that you will save a significant amount of money. These are the most important parts of the packing materials you ought to have when packing for a big move. Boxes are somewhat the most important part of any move, therefore check out quality moving boxes Kuwait and you can rest assured that no box will rip while in transit. Pack well, and you will have no bigger problems with the DIY move. As we mentioned already, there are pros and cons for everything. 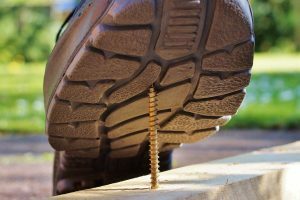 So, there are some downsides of DIY moving that you should be aware of before you decide to continue with this way of the move. The first reason to why you shouldn’t consider this way of the move is the heavy lifting. No matter how strong you think you are it is always easier to have a professional to do that for you. Professional movers have a lot of tactic on how to transport some heavy items. Not only heavy items, but there are also things that are really hard and complicated to move, for example, moving an aquarium is not an easy task. Just imagine all the fuss about how to pack it, what to do with fish, etc. There is a reason why moving companies exist. That reason is to help people move without any issues. Hey, and you probably don’t want to find yourself in a “pivot” situation like Ros from “Friends”. Another downside reason for choosing a DIY way of a move is definitely no insurance if something happens. If you hire movers, with their service you will get insurance in case that something breaks, gets lost and similar. That is why it is better to hire movers, because in the long run, hiring a Kuwait moving company will save you money. Another good reason to hire a moving company is that you can enjoy while there are professionals who are taking care of everything for you. Sounds perfect, right? They will also help you with the way that you pack. By having help from movers, you will be able to pack like a pro. If you pack like a pro, chances that something gets broken are slim to none. There is a number of downsides of DIY moving. When we say you ought to think about yourself while moving, we mean it. Injuries while moving are real. From pulling your back to spraining your ankle, a lot of bad things can happen when you move on your own. It is not all about the lifting either, there is a van you have to park in front of your building. Parking it in front and then loading everything in such a way that everything fits it’s not an easy task. A professional can do all that in a heartbeat. Therefore, think about all of these downsides of DIY moving before you start to pack. Moving is not easy, whether you are moving internationally or short-distance, it doesn’t matter, things can get complicated. You can really get stressed if you choose a DIY way to move, and there are plenty of downsides of DIY moving. That is the last thing you need when packing and planning. As we mentioned before, people usually choose this way of a move because they think it will save them time and money. That is far from the truth. At the end of the day, you can finish with broken boxes, overloaded van, pulled back, and no time left for the move. Do not think further and hire the professionals on time.